Last year I spent some time living with a dear friend who is a few decades my senior. I really loved taking long walks with her and chatting about life… also chatting about life as we lingered over dinner or sipped our morning coffee or watched the sun set on her back balcony in Germany. She had a lot of wisdom and a lot of love for life. And I will always think of her when I whip up a quick salad. 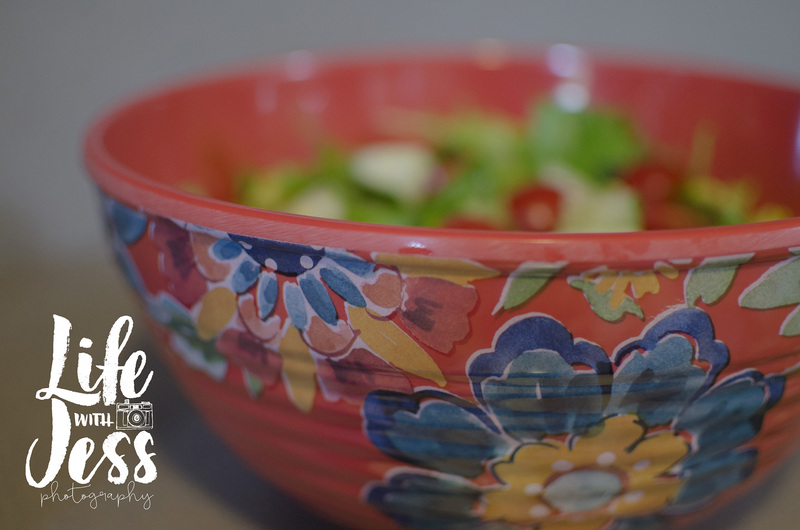 Because a favorite little tidbit of life wisdom she shared was to get a collection of pretty salad bowls. So, got a boring salad? No problem! Dress it up with a lovely bowl! Please pin this on your lifehack board to share my friend’s neat trick with the rest of the world!